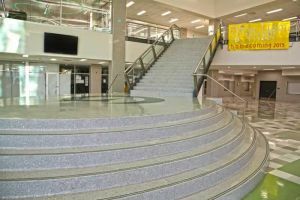 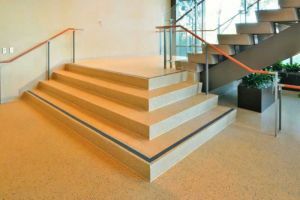 Terrazzo takes exceptional durability and adaptability up the wall, for custom vertical applications: poured-in-place and hand-ground or pre-cast curbs, base and plinths to complement floors. 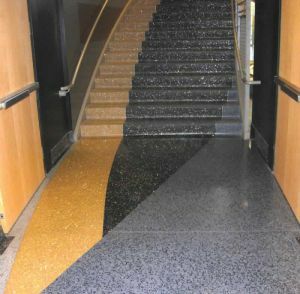 Today’s terrazzo is also light enough even for ceiling applications. 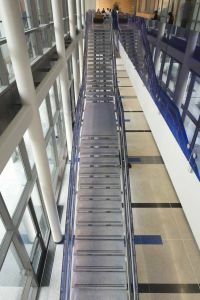 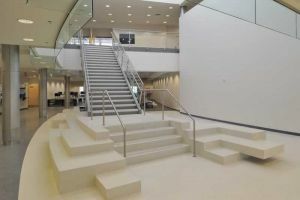 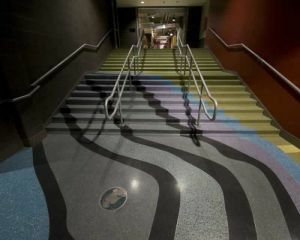 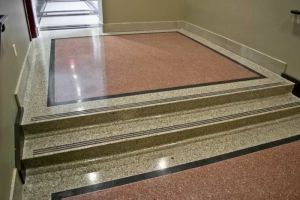 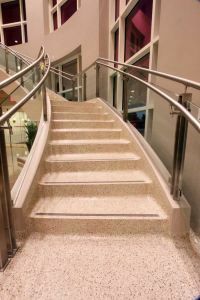 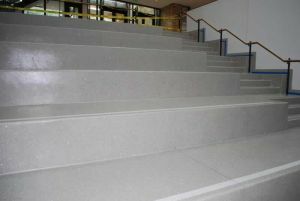 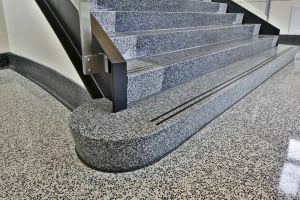 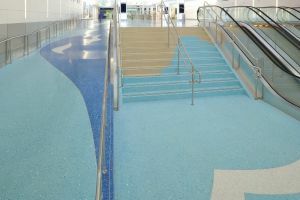 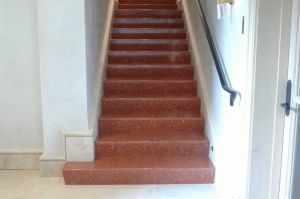 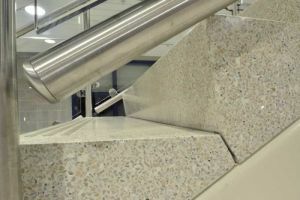 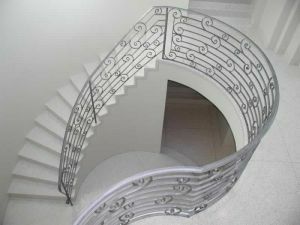 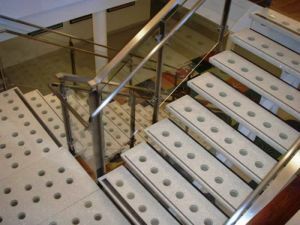 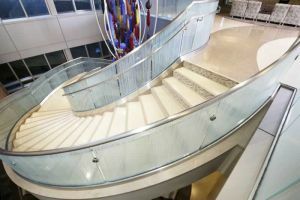 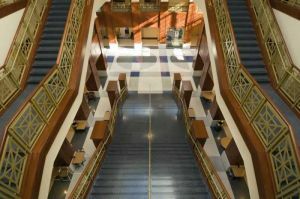 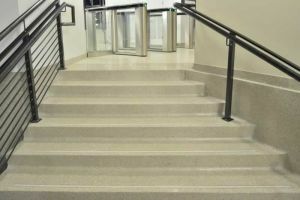 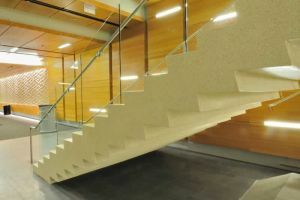 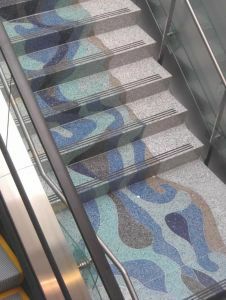 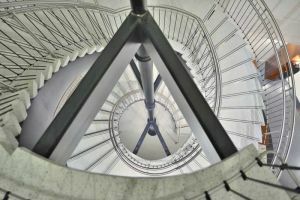 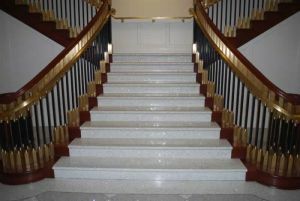 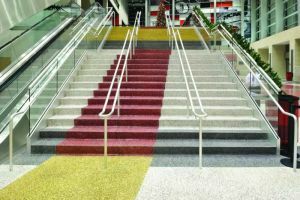 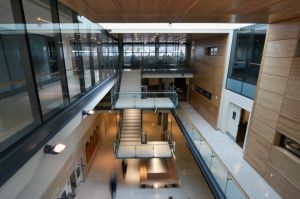 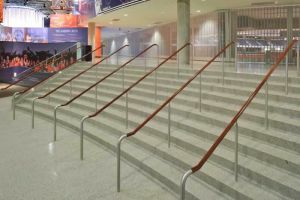 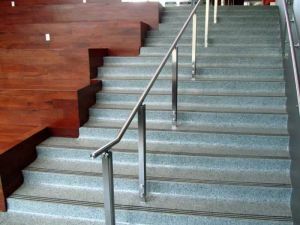 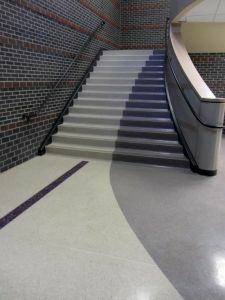 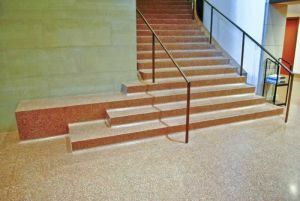 Hardwearing and functional, terrazzo offers design versatility for ever-evolving innovation with stair tread, risers, stringers, and landings.